We are committed to providing our customers with the most reliable and efficient call management and call reporting services as well as outstanding customer service and the ability to enable our customers to improve their sales performance. Innovation is vital to how we manage our company; we enjoy pursuing new creative ideas each year with the potential to positively influence and assist our customers. Acknowledging our responsibilities for our actions, decisions and products to our customers is crucial. 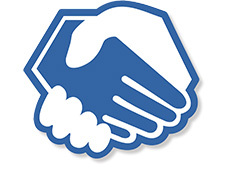 Our partners include both resellers and service providers. Click here to read our testimonials and discover why our partners love working with Akixi! We offer our services on a pay as you go basis, whereby we charge you month by month. We provide ongoing technical support, product demonstrations and step by step guides on how to use our products and the features and capabilities within each product. We offer server websites with your own branding. Users have the ability to access our service anywhere at any time on multiple devices including desktops, laptops, tablets, mobiles and even on smart TVs. Timescale of deployment can be potentially hours or even minutes after acceptance of an order. Keeping in touch with our partners is important to us and we do so via email and telephone and by also attending regular industry events and exhibitions. If you have any questions or require some more information please do not hesitate to contact us.